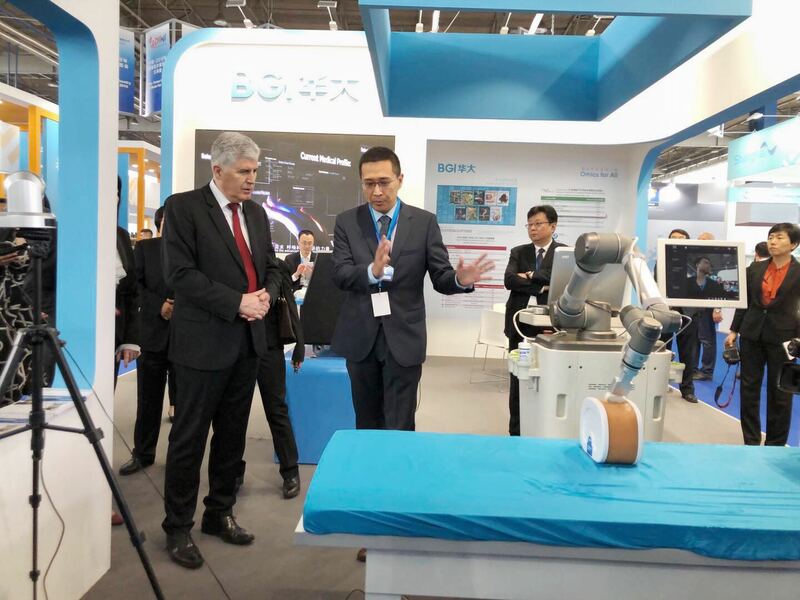 Mr. Aleksandar Vučić, Serbian President; Mr. Milorad Dodik, Chairman of BiH&apos;s Presidency; Mr. Ji Ping, Chinese Ambassador to BiH; Mr. Zhang Shenfeng, Vice Chairman of the China Council for the Promotion of International Trade (CCPIT) among others attended the event. 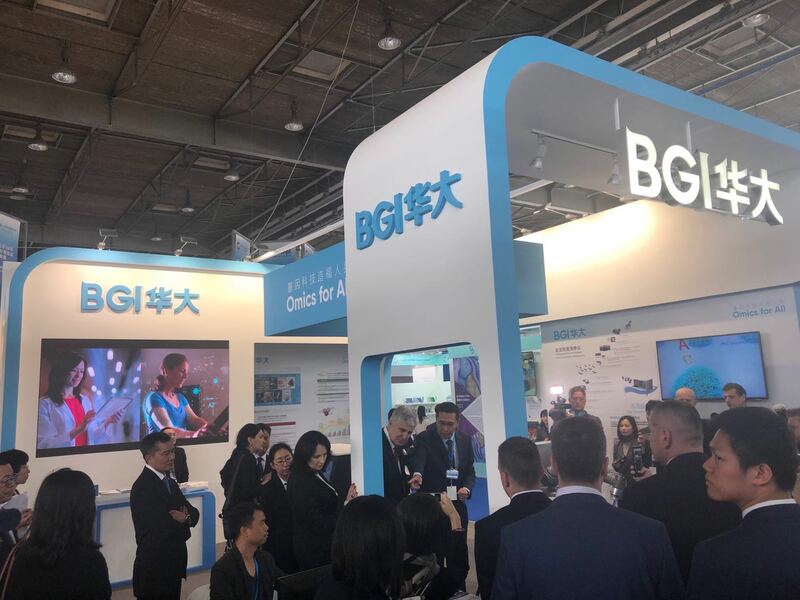 Mr. Dragan Čović, the Croat member of BiH Presidency, visited BGI booth and listened to the BGI’s report on MGIUS-R3 by Mr. Ning Li, Vice President of BGI Group and Chief Development Officer of BGI Genomics. "This new system can save time, improve efficiency, and can improve the medical diagnostics in remote areas," said Mr. Čović, after operating the robotic and real-time ultrasound system in person. Ms. Marina Pendeš, Minister of Defense of BiH visited BGI booth, she was briefed on MGIUS-R3. 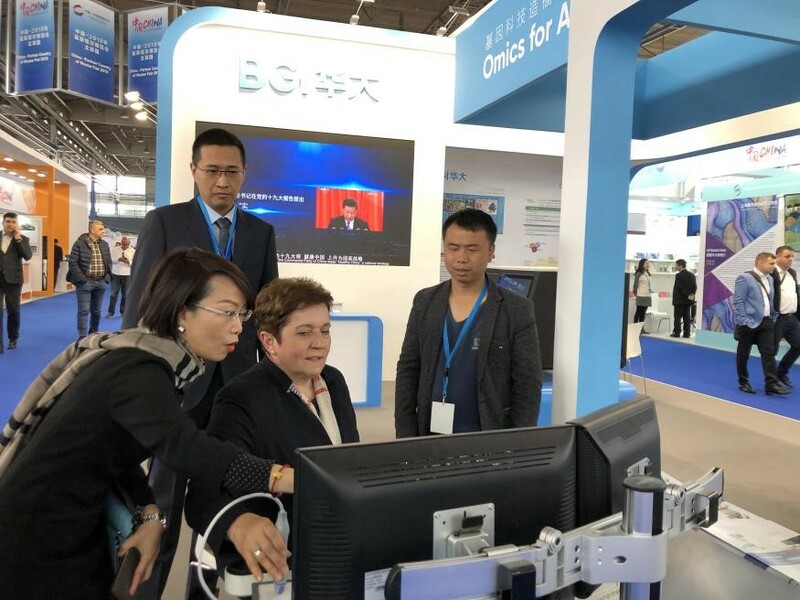 She introduced Ms. Borjana Krišto, Rotating President of the House of Representatives Parliamentary Assembly of BiH to BGI’s booth for a demonstration. 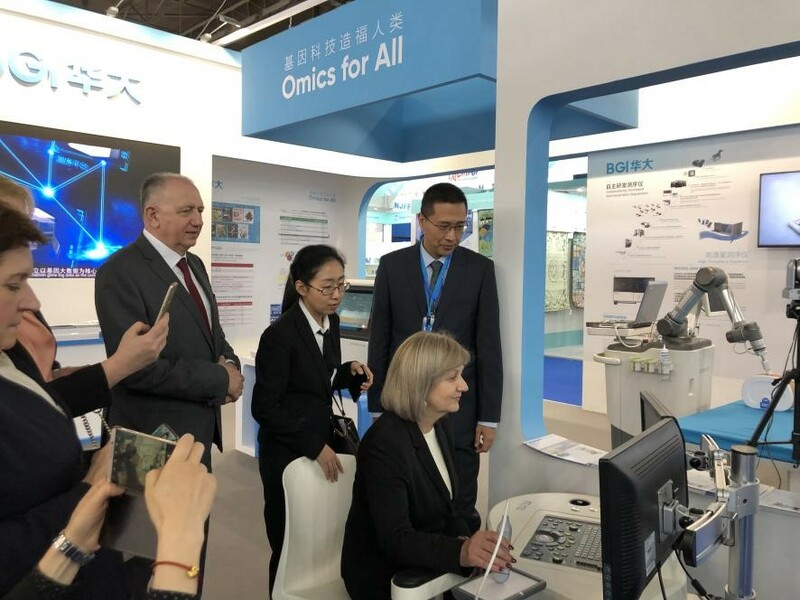 The MGIUS-R3 remote ultrasonic diagnostic system independently developed by MGI, a subsidiary of BGI Group, breaks through the time and space limitations of the traditional ultrasonic diagnosis and enables doctors and patients to achieve interoperability. Doctors operate feedback equipment at the doctor&apos;s end to control the ultrasound robotic manipulator at the patient’s end thousands of miles away through the network. The ultrasound detection images transmitted back in real-time through the network and the doctors perform diagnosis on the doctor&apos;s end. Ultrasound image parameters can be adjusted without any latency, supporting the rapid, real-time diagnosis, and making diagnosis and treatment more efficient.